Thank you for attending the 2nd annual Delaware Ag Safety Conference! Thanks to our wonderful sponsors over the past two years, we have been able to educate over 120 farmers in Delaware on the aspects of farm safety! Learn more about the Delaware Ag Safety Conference here! It is not simply a reflector- it is a warning to SLOW DOWN! SMV stands for slow-moving-vehicle. 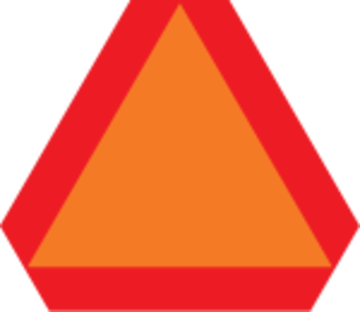 This sign must be displayed on all farm equipment designed to operate at speeds 25 mph or less when traveling on the road. Watch for hand signals, turn signals or other signs that indicate the slow-moving-vehicle is preparing to turn. Slow down and pass with caution! If you are driving 55 mph and come up on a tractor moving 15 mph, it only takes 5 seconds to close a gap the length of a football field between you and a tractor. 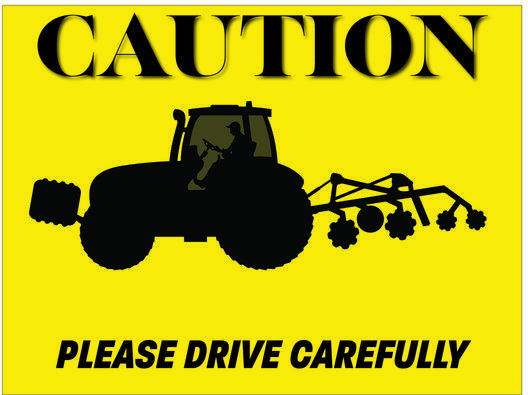 Look for these signs when driving down rural roads during planting and harvest season! 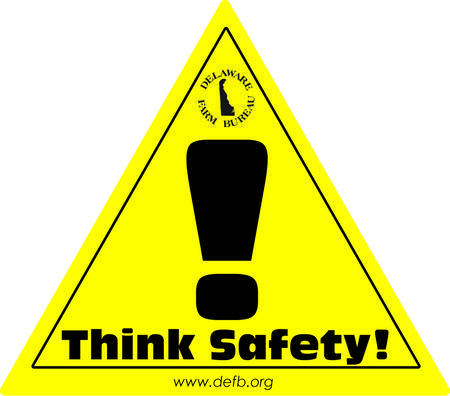 Remember to “Think Safety!” everyday with our caution stickers for your farm equipment!